Alber, how did you know that I have been rather obsessed with capes as of late? I knew there was a reason why I loved you. :) Although, Alber’s entire set-up was rather haunting this time around with the models emerging amidst the mist around a weeping willow. And the initial looks were rather austere. I am all for clean lines and a largely black and white palette, but Alber’s design felt devoid of the joy I normally find in his designs. He dialed it back quite a bit. There were some nice tribute pieces to classic Lanvin (feature shot for one) and I recognize the trademark elbow length gloves, but that is still a recycling of his standard pieces. Of course, there are still distinct Alber trademarks embedded in the collection as well: the somewhat pleated draping, the voluminous shoulders, and raw silk gathering. And probably only he could get me to love a watermelon pink cocktail dress. Overall, this is a very pleasant collection with some very lovely pieces, but it lacked the sparkle that Alber normally brings to it. 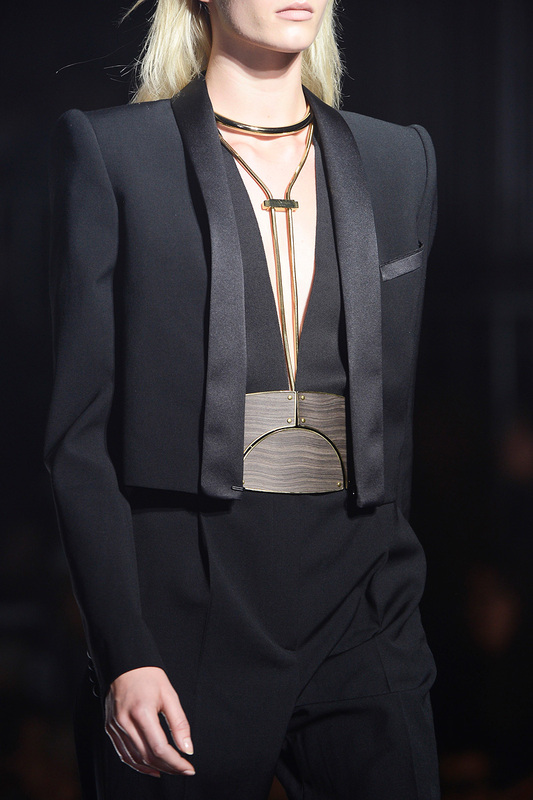 Oh Alber…You make me fall in love with clothes and this industry all over again. Forget current trends and industry obsession with the seventies and nineties, Alber Elbaz is in a league of his own. His aesthetic cannot be classified. 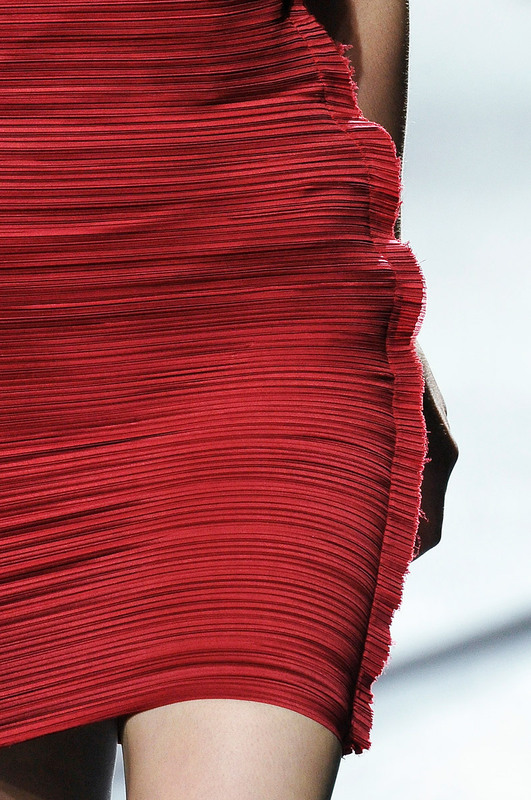 He simply makes exquisite clothes that are relevant and tied into the way we live now. And they are excellently crafted with a masterful sense of proportions and shape. He excellently navigates between the question of short vs long length and flat vs high heel. He presents structured silhouettes, ladylike dressing, loose maxi easiness, minimalist tailoring, everything a chic woman would want. 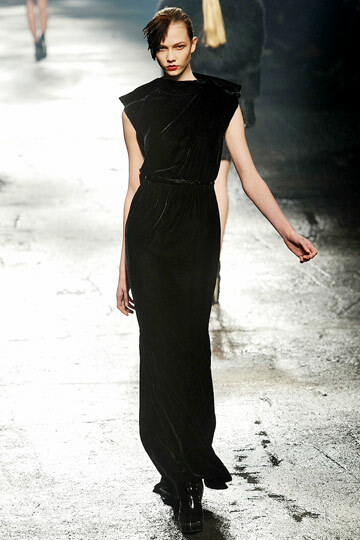 I love how he introduces the collection with flowing dresses (perfect for spring!) before moving to structured minimalist looks that conform effortlessly to the body and finally closing with ladylike refinement. He has taken ladylike office appropriate clothes and transformed them with ultra lined fabric and vibrant sportiness. The frayed edges to that one dress was a fantastic touch (above, lower right). Just the perfect amount of deconstruction to balance out the minimalist look of the dress. The loose looks are effortlessly chic as Alber’s controlled volume enough to provide ease without chaos. In the beginning he starts us off with a sportier feel that effortlessly flow into the fluttery skirt, but he closes with true comfortable minimalism. And that’s a major point for Alber. This probably sums of the essence of what Alber wants for Lanvin: “In the end, I realize I only want to make women feel gorgeous, comfortable, and beautiful.” And by God he has done just that. He gives women versatility, practicality, and an wonderful sense of self. For a man, he truly understands how women want to feel while wearing beautiful clothes: empowered, comfortable, and gorgeous. And of course, gorgeous clothes must be accented by an equally gorgeous beauty. Long lovely lashes complete a face. That is really all there is too it. Who really wants anything else? Brights, red lip, and metallics are one thing; a beautiful foundation of clear clean skin and glamorous lashes are truly the basics of beauty. Women constantly search out the best mascara and play with new formulas for a reason. 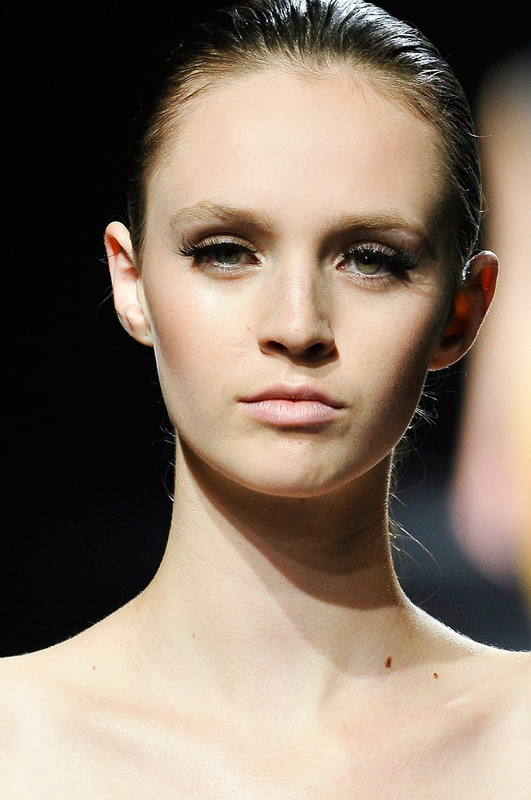 Long, well curved dark lashes mean instant glamour. Alber’s vision for resort suits perfectly. Relaxed chic at its best. 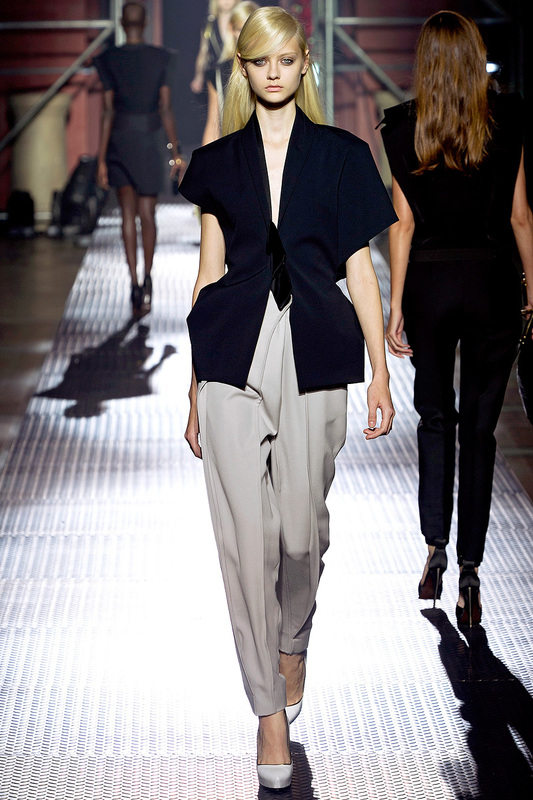 Ladylike as always at Lanvin. 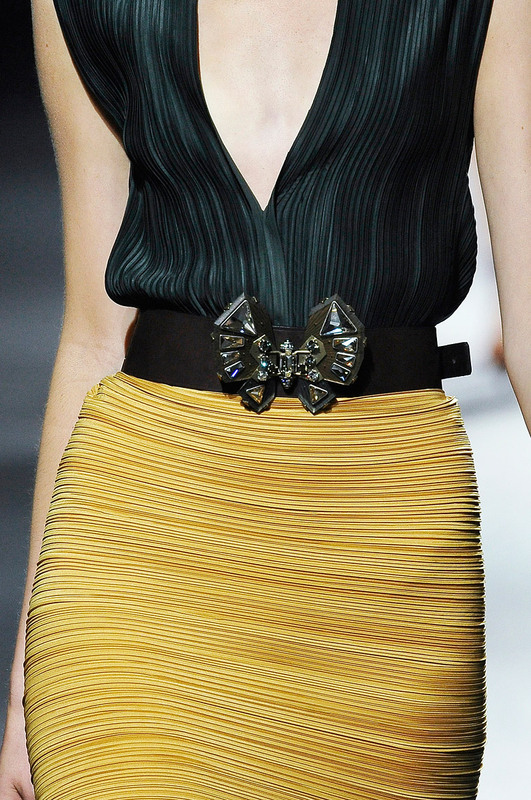 Alber Elbaz is always wonderful designer who understands the shape of women. This time around, his lady is a bit more gothic and doll-like. 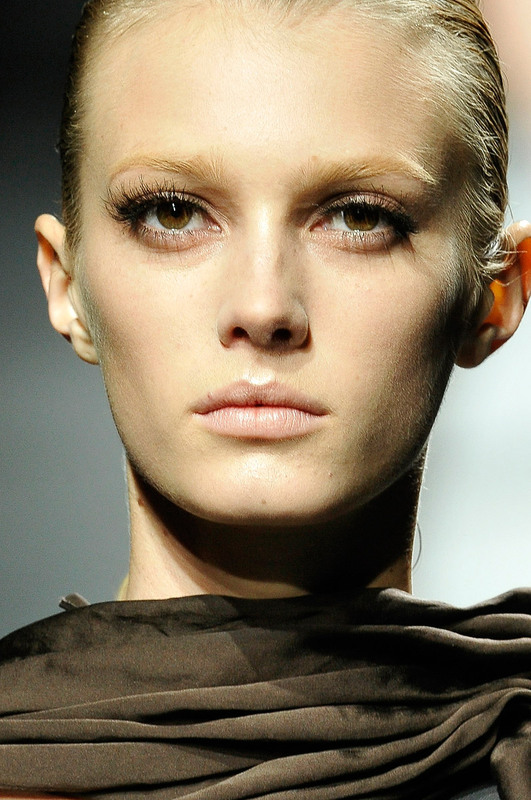 Karlie Kloss is excellent stomping down the runway with that death stare of hers. The craftsmanship is wonderful and there is a fluidity to his clothing. This one collection of black that I won’t grow tired of. Oh Alber how could I do this to you? I forgot to post you!!! Anyway everything is lady-like and grand here at Lanvin. Alber is his usual brilliant self.